Normally here in Utah February is still pretty cold. We still have snowy days and have to bundle up to go outside. This year however, has been a little strange. I think the only real snow storm that we have had all winter was on Christmas. It has been unusually warm this winter with no snow. Most days a sweatshirt or light jacket is plenty, some days you don't even need that. For a while every day was in the mid to high 60's, it has gotten a little colder but still not normal for here. The crazy part is that I keep hearing about all of these massive snow and ice storms in other parts of the country. If you live in Utah, today's post may be kind of pointless since you probably don't have a need for a little cowl to keep your neck warm. But, if you live in one of the places getting tons of snow maybe there is still a little bit of scarf weather left for you. 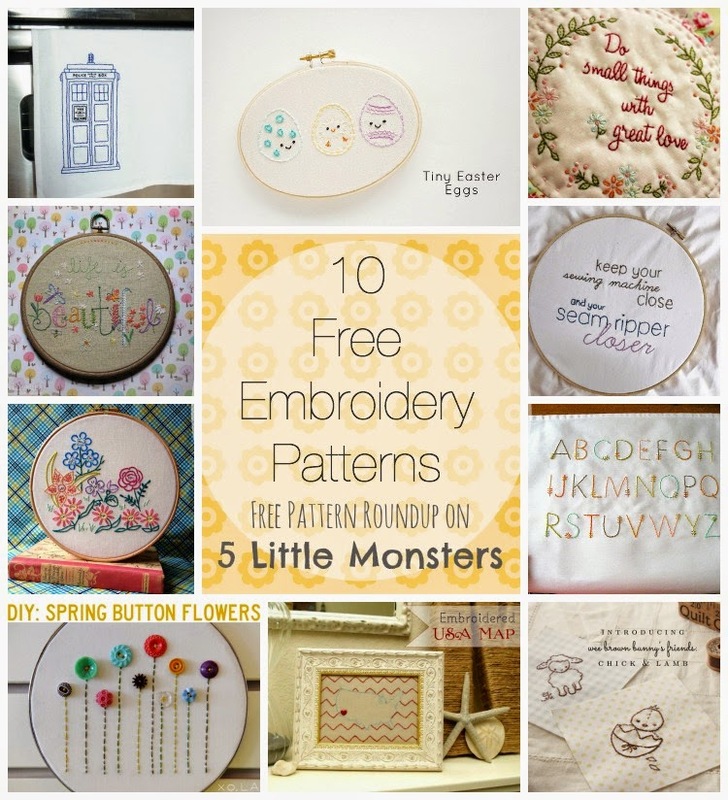 One thing that I really enjoy looking at on other craft blogs that I read are the free pattern roundups that so many blogs do. I have been thinking for awhile about starting one on my blog and today I am finally doing it. 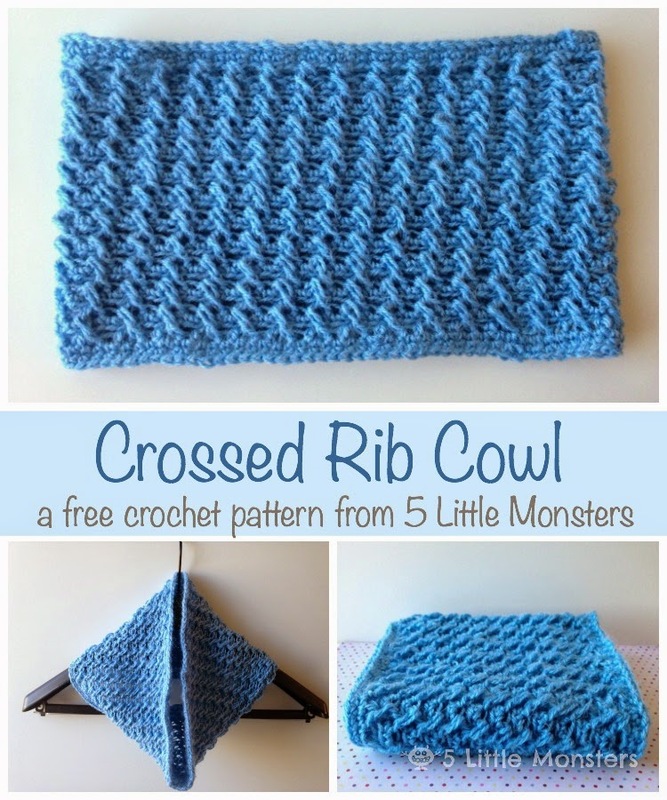 I plan to post a roundup of 10 free patterns occasionally on Fridays. 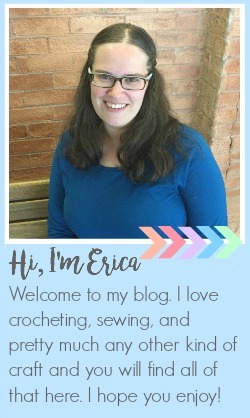 I am calling it Friday Freebies and I hope to share free patterns that I find for a variety of different crafts, sewing, crochet, embroidery, knitting, free printables, etc. Because I just shared a free embroidery pattern earlier this week I decided to start by sharing some free embroidery patterns that I found. So without further ado here are the patterns. You can click on the title or the picture to go to the websites where you can find the patterns. 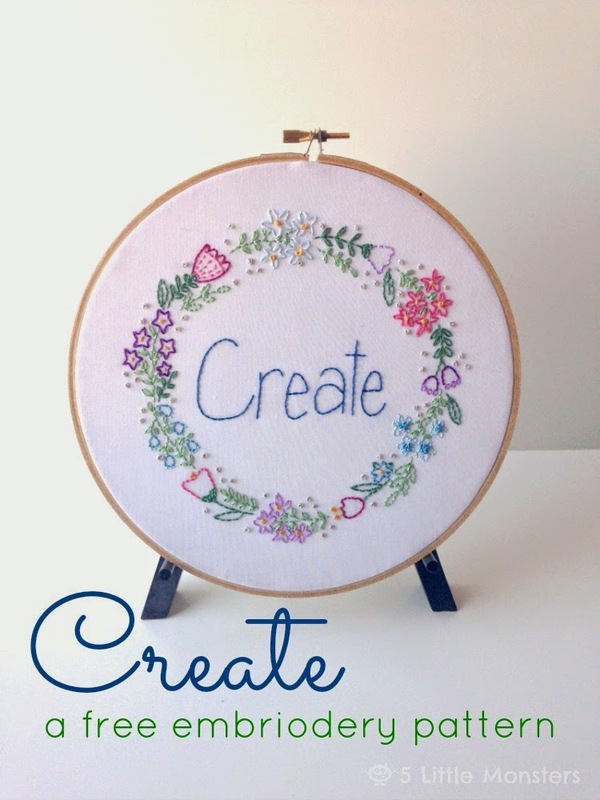 I have always loved to make things whether it be sewing, crocheting, drawing, painting or in any other way. I love trying new things, learning new ways to make things. There is something so satisfying about taking a pile of scraps and, with a little bit of cutting and sewing, turning them into a beautiful and functional quilt. Or taking some fabric yardage and turning it into a pretty little dress, or a ball of yarn and making it into a hat or scarf that can now keep someone warm. Something about turning something that by itself may seem rather useless (not that I think fabric or yarn is useless, to me it is full of possibilities, but without doing something to it it is simply a piece of fabric or a ball of yarn) and turning it into something that can be used, something that can be worn or played with, keep someone warm or just look pretty really makes me happy. It has been quite a while since I have done a Geek Craft post on The Geeky Mormon. I am going to try to do that more frequently this year. Today I have a geeky valentine project to share. 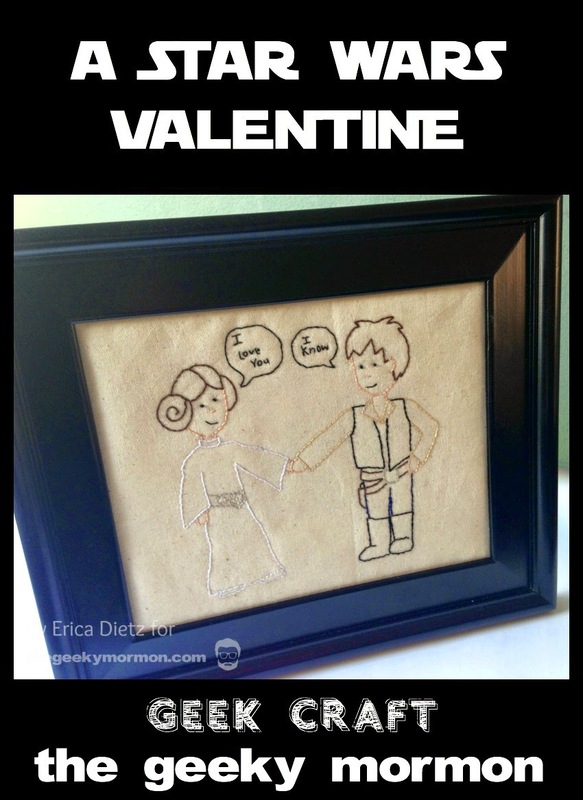 If you, like me, have someone you love who likes geeky things, and more specifically Star Wars, than this is a fun, easy gift to make for them. I have to admit that although I am married to a geek, I have still not seen all of the Star Wars movies all the way through but I did know about this scene and I thought it would be fun to make it into a gift for my husband somehow. In his office he has a wall of geeky pictures, Star Wars, Doctor Who, Superheroes, etc. I thought, why not make him something to hang on that wall and came up with the idea of a framed embroidery. If you want to make your own you can find the downloadable pattern and instructions on how to make it by clicking over to The Geeky Mormon. Enjoy. 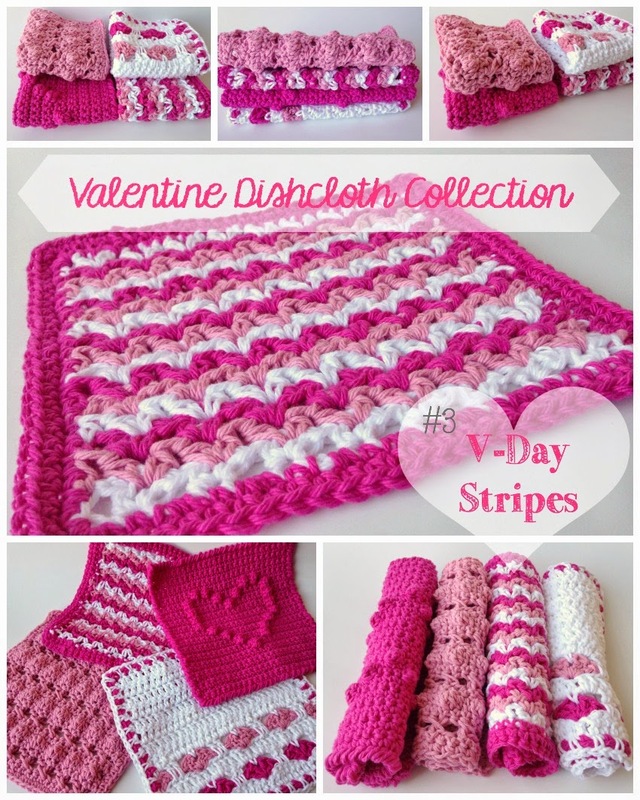 It's time for the fourth and last Valentine dishcloth. I meant to get this up last week but life was a little crazy so I am finally getting it up today. It is still early enough to make it before Valentine's Day so I guess I'm not too late. To be perfectly honest, this was probably my least favorite dishcloth to make, not because of how it looks, I thought it turned out nice enough, but because there were a lot of ends to weave in. I'm just lazy I guess, but I really don't like weaving in ends. I don't want to scare you off, it really isn't that bad. You have to cut the yarn after the heart rows as well as the white rows in between so there are like 4 ends to weave in after that first section. I think the biggest problem for me was that I had envisioned the hearts going up the whole dishcloth, having probably 5 heart rows rather than just 2 but after I realized that I would have to cut my yarn each time I decided to just do one row of each color at the bottom and leave the rest plain. I think it worked even if the idea was a result of laziness. Time for dishcloth number 3. 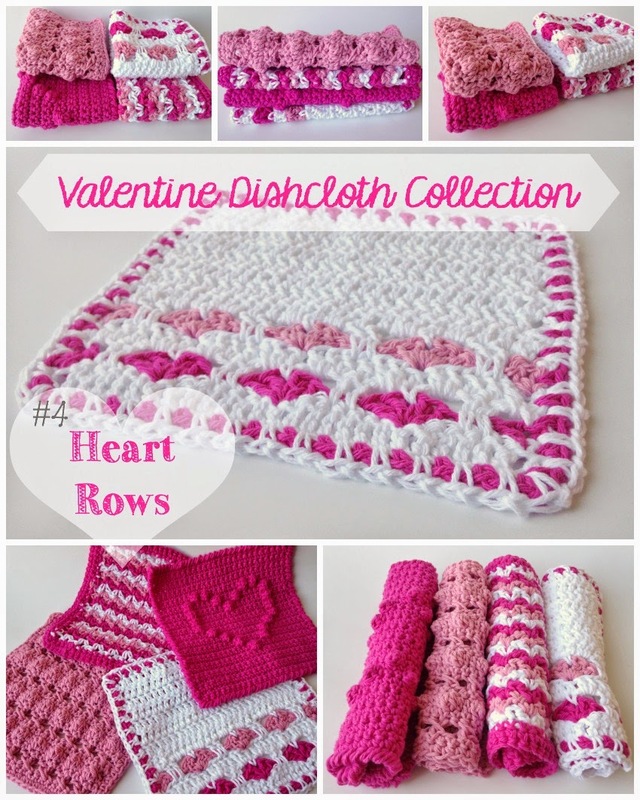 This dishcloth is not very Valentine's Day specific other than the colors that I used to make it. You could easily make it in any colors for any holiday or to match your kitchen. I wanted to make something that would use all three colors and I came up with this V-stitch stripe. If you follow me on Facebook you will already know this, but this year I have the amazing opportunity to be a part of the Creative Team on Craftaholics Anonymous. Each month, starting this month, I will be posting a project over there. My first post was published today! 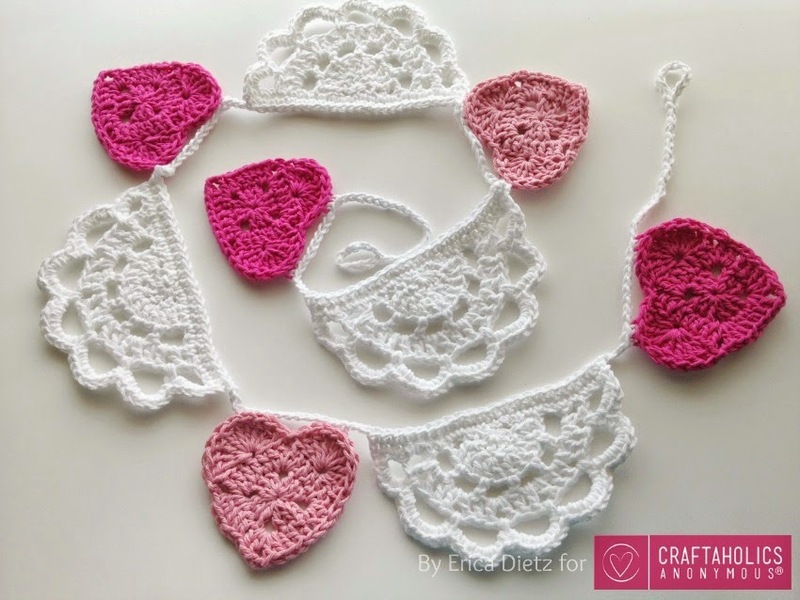 I shared a tutorial to make a crocheted Valentine's bunting with hearts and doilies as well as an alternate version without the hearts. It could be a cute addition to your Valentine decor or you could use it to decorate somewhere else. It would be cute in a little girls nursery or baby shower or even at a wedding. My heart version is actually hanging up in my daughters room above her bed. She loved it and really wanted it in her room and it looks pretty cute in there so I gave in. The version without the hearts could be hung on a mantle for any holiday, just choose colors that work with your holiday decorations. I am really excited to have this opportunity to share this project, go check it out here.